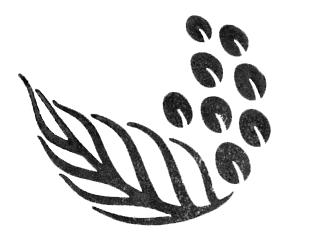 About us – Kalei Coffee Co.
As coffee enthusiasts, we travel the world to see what flavors countries have to offer. Unable to find these different aromas in our home country, we find ourselves filling our bags with memories that we experienced in unique locations. Our aim is simple, people need to see the potential of specialty coffee. We also know that in order to get the perfect cup, we had to cover the whole supply chain, from bean to cup. Hence, Kalei Coffee Co. was born. Kalei aims to transport you to different parts of the world by exposing you to coffee that is unique, handpicked by our own people (yes we fly across the globe to choose the best beans for you), but most importantly directly traded from cooperatives and farmers in the best coffee growing regions. Kalei is a micro-roastery; we buy direct trade green coffee, fly them home, and roast in small batches to ensure our coffee is always the freshest. At the end, farmers earn a bigger chunk of the market price, we get better quality coffee, and we deliver tastier coffee done the right way. We basically make more smiles in the world every morning. To always provide top quality coffee, roasted to perfection in order to ensure coffee lovers get the best possible flavor from each origin. To promote good trade practices with coffee growers and all our other suppliers to improve their livelihoods via direct trade, whenever possible. To be the partnership between farmers and coffee drinkers by ensuring transparency, traceability, and by taking coffee drinkers on a trip to the origins. To nurture a specialty coffee culture and to be the pioneers of real specialty coffee in the region.